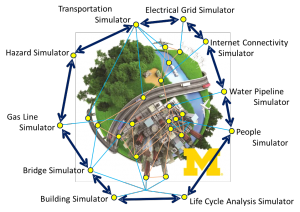 The Center for Scientific Software Infrastructure brings together the U-M scientific open source software development community, making its software available to the wider research community. We provide grant support and educational resources to research groups that are ready to transform their scientific codes into open source software. Our current faculty is involved in several projects including the development of resilient platforms of natural hazards and disasters, advancement of battery materials, and design and implementation of quantum models. We provide workshops on software development, best practices, and management. Workshops are provided by the programmers assigned to the different projects. For more information, contact micde-contact@umich.edu. CSSI offers grant support in the form of programmers, consultants, and administrative assistance. Contact micde-contact@umich.edu for more information. 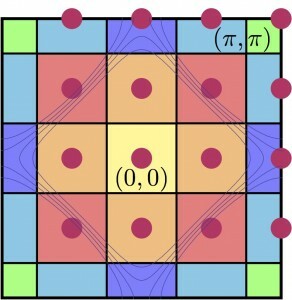 Design and implementation of “diagrammatic” or “continuous-time” methods for quantum impurity and lattice models. 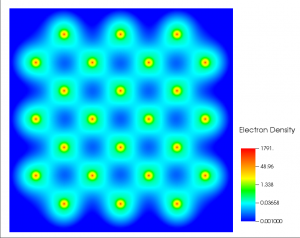 The aim of this project is to help revolutionize materials science and identify new advanced battery materials that can power future zero-emissions and carbon-neutral vehicles.